BIG Chief Studios Ltd. (www.bigchiefstudios.co.uk) announced today that it is to produce a range of high-end collectable figures based on the classic James Bond film series. Working in collaboration with EON Productions, producers of the James Bond films, BIG Chief's first wave of figures will feature characters from the 1964 Bond classic Goldfinger, including: agent 007 James Bond (Sean Connery) in his iconic grey three-piece suit; treacherous villain Auric Goldfinger (Gert Frobe) and formidable henchman Oddjob (Harold Sakata). Initial product offerings will be focused around the very first Bond films featuring Sean Connery as Ian Fleming’s James Bond 007 and will include the world-dominating villains, lethal henchmen and intelligent enchanting women of Bond. The highly detailed figures will feature accurate character likenesses, authentically styled hand-tailored costumes and accessories. The range will then be further enhanced and expanded with additional characters from the James Bond film series. Initial product releases will be available direct to consumers via Big Chief’s dedicated website (www.bigchiefstudios.co.uk), www.007.com and through select hobby and specialist retailers. Fans around the world have eagerly awaited a new officially licensed range of high-end figures based on the James Bond films. 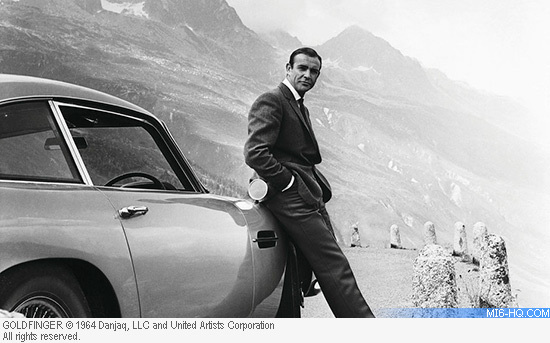 There is no brand more iconic and identifiable with Great Britain than James Bond, so it is particularly fitting that EON Productions has chosen a UK company as its appointed partner. BIG Chief Studios Ltd. is comprised of industry veterans with the experience and passion to deliver high quality collectables. Specialising in the design, development and manufacture of gift, collectable and toy products, BIG Chief is working hard to deliver the very best collectables for fans of the world’s greatest spy.